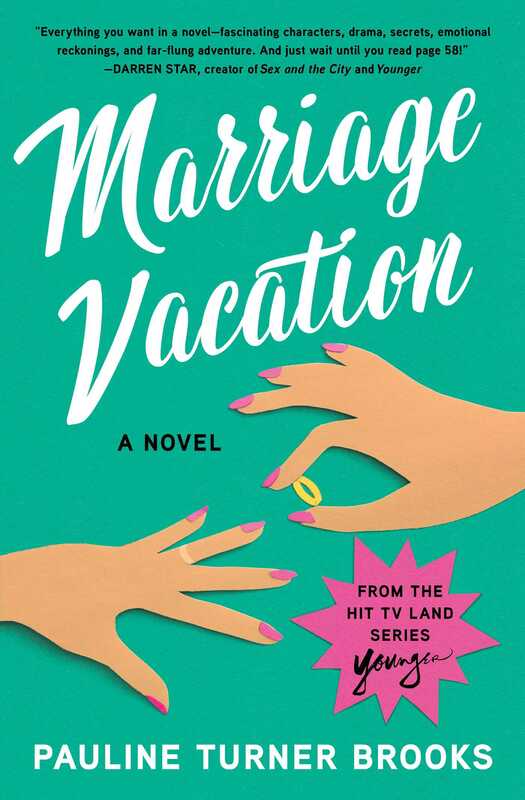 In season four of Darren Star’s hit TV Land series Younger, the editors at Empirical Press are shocked and deeply moved when they read Marriage Vacation, an autobiographical novel by the publisher’s estranged wife, Pauline Turner Brooks. Knowing the book will cause a sensation, they decide they must publish it. Now you can read what the hype is about—including page 58 that had everyone buzzing (...and blushing). Marriage Vacation is for anyone who has ever fantasized about what it would be like to run away from it all. By all appearances, Kate Carmichael has the perfect life: two adorable daughters, a prewar townhouse on the Upper East Side, and a husband who runs one of the most successful publishing companies in New York. But when Kate attends a wedding and reconnects with successful friends from graduate school, she suddenly sees her life in a different light: the career she didn’t pursue, the dreams she’s locked away, the empty veneer of her privilege. When the wedding weekend ends, instead of heading home to her husband and family, Kate gets on a plane and flies halfway around the world. She claims it’s just going to be for a week—two max—just so she can clear her head and reconnect with her lost dreams. But the adventure doesn't go quite as planned. This provocative and gripping novel asks: Is a wife and mother allowed to have a midlife crisis? And, if she does, can she ever be forgiven?